Ace: This isn’t my first time taking the natural deodorant route. In 2011, I started using natural remedies to help with sweating, but it didn’t last long. (Summers in the south get very, very hot.) The reason I’m making the switch the second time around is because of the aluminum hype. My mother died of cancer, so I’m trying to cut out anything that could contribute to me getting the disease. My body developed quicker than most people I know, so I’ve been wearing deodorant for as long as I can remember. It was time to let it go…again. Donni: I mentioned in my winter natural beauty remedies that I’ve been turning to natural alternatives instead of commercial products that are filled with unnecessary ingredients. Slowly, but surely I’ve been taking inventory of the products I purchase and looking for a healthier or more natural alternative. Deodorant was next on my list. And although, there aren’t any definitive studies linking aluminium to breast cancer, I’d prefer just opting out of using it all together. There are so many natural alternatives like tea tree oil that help kill the bacteria which cause that sweaty odor, rather than trying to stop the sweating altogether like aluminum does. 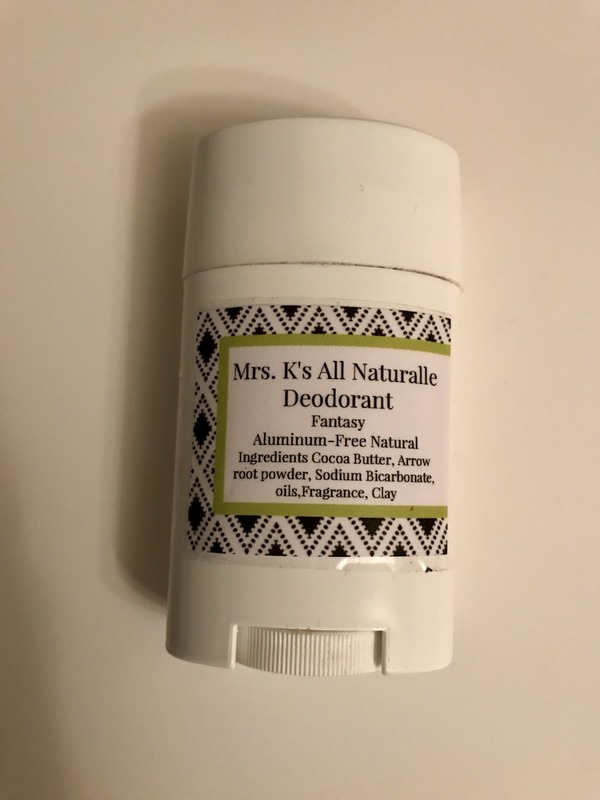 Ace: My natural deodorant came from Mrs. K’s Skincare. I went with Mrs. K because I recently ordered her activated charcoal toothpaste. It was still “cold” out when I started using it, just to prepare my armpits for the summer weather. Everything started out great, with the exception of being nervous that I stunk. One day my pits started to feel raw. Then I noticed they were SUPER dark. Being the genius I am, I thought it was just my pits detoxing. Didn’t even think about it being an allergic reaction until Donni told me the same thing happened to her. I contacted Mrs. K and she said it could be the baking soda. (One without baking soda should arrive any day now.) The “natural remedy” I tried six years ago was baking soda. My armpits burned then, but I thought it was my razor or shaving cream. Donni: I researched a lot of different brands and eventually went with Schmidt’s in Ylang-Ylang and Calendula. 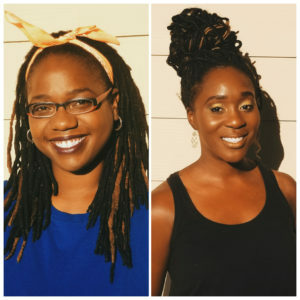 I “detoxed” my pits for about a week and a half – only using apple cider vinegar twice a day and following up with coconut oil. 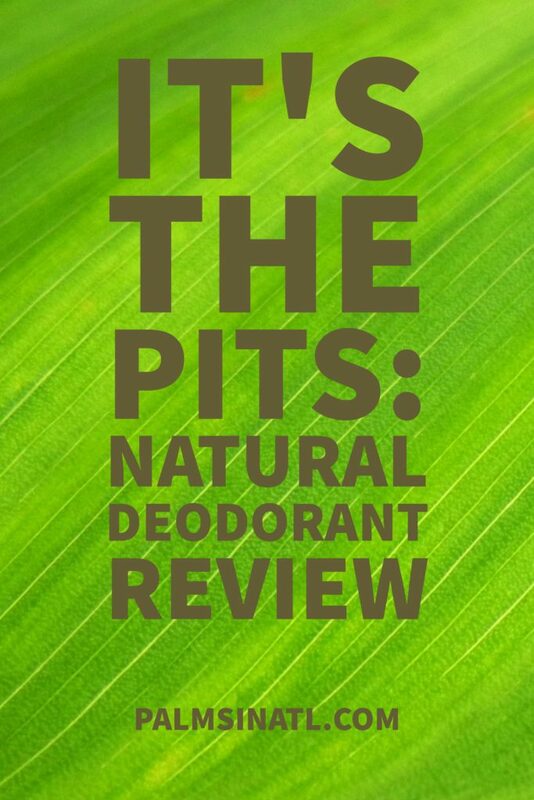 The first week of using the deodorant, I still used the apple cider vinegar and all was well. I was super worried about being the stinky girl at work, but the Schmidt’s was awesome. I didn’t have any issues with odor and it honestly felt like I was wearing my normal Secret. Then I stopped using the apple cider vinegar and I had an allergic reaction to the baking soda in the Schmidt’s. I mean it was an awful rash. My armpits were on fire and they turned black. I was slathering aloe on them every few hours for relief. Cue me writing a very angry letter to Schmidt’s about how their product caused me to have firepits instead of armpits. They are currently sending me a replacement product without baking soda. However, I’m moving on to another brand: Primal Pit Paste. We’ll be back with some thoughts once we’ve tried products without baking soda. Have you ever had a bad reaction to a natural product? Leave your story below!